We offer a wide range of Rail Clamp, which is one of the reputed products in the market. We ensure our ranges of hi-grade raw materials used for manufacturing these clamps procured from dependable vendors. These products are preferred much for large scale industrial manufacturing purposes. 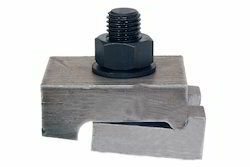 All the products listed under this category are manufactured in compliance with international standards they are Rail Clamp - LBS 30/40 (With Spring Washer & Bolt), Rail Clamp LBS-60 (With Spring Washer & Bolt), Rail Clamps (With Spring Washer & Bolt), Rail Clamp - LBS 105 (With Spring Washer & Bolt), Rail Clamp LBS 120 (With Spring Washer & Double Bolt), Forged Rail Clamp, Forged Block, Machined Block Cr 100/Cor120, Cup Type Rail Clamp - Lbs 60 (With Spring Washer & Bolt) and End Cap. We are engaged in Importing, manufacturing and Supplying Rail Clamping System around the world. Our firm uses most select range of steel materials for the manufacturing our products. These products are featured with strong make, double and single screw system, easy attachable techniques and re usability. We have designed our product to give out best performance in industries and lathes. Silverline Metal Engineering Private limited occupies the leading position in the field of manufacturing and exporting Single Bolted Rail Clamps - LBS 30/40 With Spring Washer & Bolt. We manufacture these center rests with committed care of our skilled professional to ensure delivering reliable to our clients. 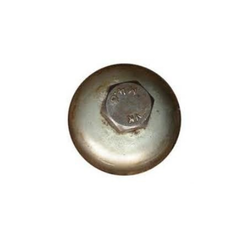 The materials used to manufacture these products are zinc plated extremely sturdy alloy materials. 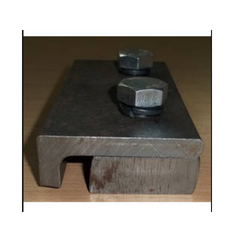 These are used widely for clamping rails efficiently. We at, Silver line Metal Engineering Private Limited is engaged in Importing, manufacturing and supplying Angle Type Rail Clamp 105 LBS around the world. Our firm uses the most select range of steel materials for the manufacturing our products. 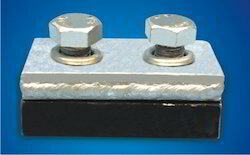 These products are featured with strong make, double and single screw system, easy attachable techniques and reusability. We have designed our product to give out the best performance in industries and lathes. Under the able guidance of our skilled professionals, we offer Cup Type Rail Clamp - Lbs 60 (With Spring Washer & Bolt) all over the world. We use sophisticated technology and machinery for the process of manufacturing these cup type railing clamps. We offer these products at customer required sizes. It is designed efficiently in such a way to withstand heavy weights to be moved on the trolleys clamping. We are well-known experts in manufacturing and exporting Spring Washer Rail Clamp LBS 120. We manufacture these rail clamps using finest materials, which has matchless withstanding capacity towards temperature and pressure. We manufacture these clamps in adherence with the guidance of our skilled experts. The materials used for manufacturing these clamps are zinc coated, enhance its durability. Backed by the perfect state-of-art infrastructure, we manufacture and export an ample range of Forged Rail Clamp. These products are manufactured using best quality raw materials to ensure its reliability, which is in compliance with international mechanical standards. These forged rail clamps are made of rust-free conducting materials, which ensure prolonged efficiency and lifespan. We offer these trust-worthy clamps at an industry leading price. Our organization is the leaders in field of manufacturing and exporting a wide range of Machined Clamp. These products are manufactured under the guidance and advice of our esteemed professionals. It is provided with proficiently designed spring washers and bolts. We offer these products at diminutive price to please our clients. Moreover, it is manufactured in compliance with international standards. 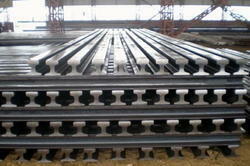 We are a trustworthy organization in offering a wide gamut of Rail. 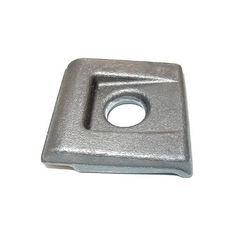 We are experts in manufacturing and exporting one of the best quality blocks namely Forged Clamp. These products are manufactured in adherence with the analysis of exact industrial specification and updated designs using advanced equipments. The salient features of our products are it is highly reliable and cost-worthy. Owing to its user-friendliness, we offer it at an affordable price. It is used widely for manufactured heavy-duty cranes. Packaging Details: IN GUNNY BAGS.